This is the bit where you find out all sorts of things about me that you probably didn’t want to know! But here it is anyway! 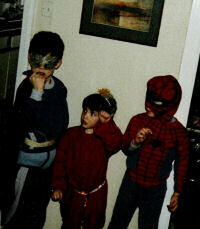 This is when I was five years old. 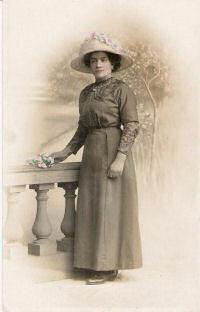 This is my grandmother when she was young. We called her Nonna, the Italian for grandma. She came here from Italy when she was just 15. This is great because I feel I belong to both Italy and Scotland! The first two schools I went to closed down – but not until after I had left. It wasn’t ANYTHING to do with me. At least I don’t think so! My first school was in Edinburgh and I had to get two buses there every morning. 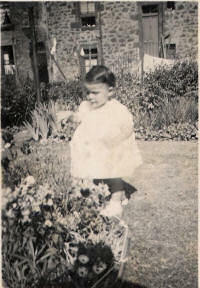 When I was eleven I went to boarding school in Aberdeen which took more than three hours in the train. I remember being so excited when I went to get my new uniform and when we packed my huge trunk I thought it was just like the stories in the books I had been reading about girls going to boarding schools and it was at least THREE DAYS before I felt homesick! The last school I went to was another boarding school called Kilgraston. 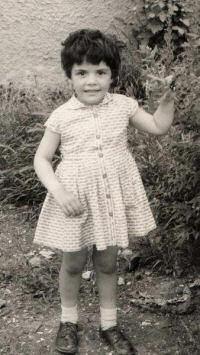 It is in the middle of the beautiful Perthshire countryside and I sometimes go back to say hello. 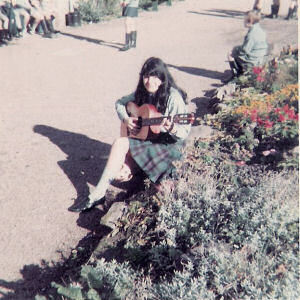 This is me with my guitar, when I was at school there. There were some Spanish and Mexican girls at the school and they used to teach us some Spanish songs on the guitar and how to play things like the Mexican hat dance. I can still play that – a bit! I left school and my first job was as a laboratory technician in a hospital. I stayed there for exactly a year and when I left I did some modelling work. This is me when I was 19. 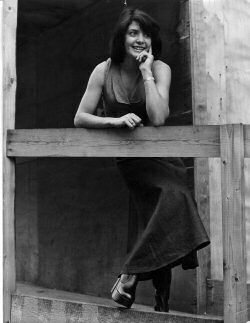 I’ve done various other jobs including running a restaurant and working as a buyer for a clothes shop, which was great fun because I used to get to see all the latest fashions months before they came into the shops. When my daughter was 7 and the boys were 9 and 11, we got a dog. 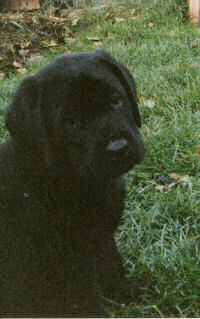 This is him as a puppy. He very soon grew to be very big but he loved everybody. He even loved to go to the vets, but when he was there he wanted to be friends with all the other animals, even if they didn’t want to be friends with him! 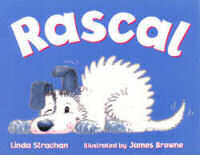 This gave me the idea for the book RASCAL which is all about a dog who doesn’t want to go to the vets but when he’s there he causes chaos by trying to get up close to the cats, rabbits and other animals waiting for the vet, until a very BIG dog arrives! 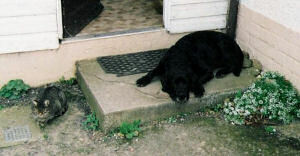 We used to live on a small holding in the country with lots of space, old buildings and big barns which our dog loved and when we bought the house we got to keep the cat, who lived outside most of the time. He was very cat-like and independent but he was quite old so when he died we got another cat who used to follow the dog around all the time. This is them together. I love painting pictures – even very big ones. Because one of our barns was huge we used to call it the dinosaur house. 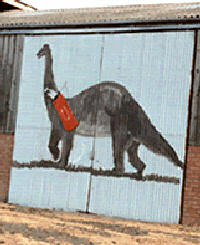 It had very tall corrugated metal sliding doors so one day I went out and painted a dinosaur on the doors. His name is Archibald and this is what he looks like. He is still there and the new owners seem to like him! When my children were small I used to love making fancy dress costumes and this is the very last one I made for my daughter just before she left high school. She is dressed Queen Amadala from Star Wars. I got my first books published in 1996: a series of 8 books about a boy called Tom and Zoola. an alien girl who is made of green goo and can change into anything she sees. This is one of them. 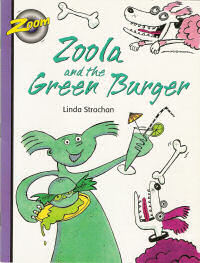 My first publishing contract was signed in 1996 with Ginn, educational publishers, to write a series of 8 books in the Zoom series based around two characters Zoola and Tom and was written for children with special educational needs. This series was followed by a further series for reluctant readers, (Springboard) for which I wrote 11 books. 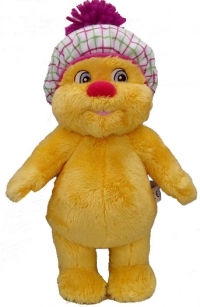 For Children, I have written BIG books, tiny books, books on CD Rom, activity books in fact books for all ages of children from babies to teens, and I have written folk tales and myths, fantasy, SF, and non fiction and also books about bullying and racism. I have served on the committee of the SOAiS (The Society of Authors in Scotland) and I currently represent the SOAiS on the Literature Forum for Scotland (previously as vice chair). Some of my books are written for reluctant readers and I love the idea that my books might encourage someone to develop a love of reading. I love going into schools doing author visits and talking to children of all ages. I enjoy running workshops with either adults or children on any aspect of writing and speaking at conferences and festivals. I love reading, travelling, ice-skating, learning new things, going for long walks and painting, but most of all I love writing! Lots of them! I have had about 60 books published and more on the way but I have quite a few that are lying in a cupboard that are not, and may never be published. Do you write in pencil or pen or on a computer? I start writing a story on computer then I like to type it out and read it on paper. Sometimes I scribble ideas down on paper, especially when I am sitting waiting for someone, or on a train. What is your favourite book- one that you have written ? That’s a difficult one; they are all my favourite – especially when I am writing them. When I have just finished one, that is usually my favourite until I start the next one! It is a sort of pink-white colour. Not bright pink! What is the best advice you could give us when we write stories? Write something that you are excited about. If you are excited and interested in something your writing will be more exciting, too. 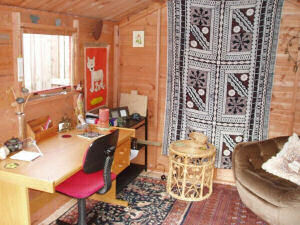 I have a lovely summerhouse/shed in the garden. This is what it looks like inside. I call it Tuscany.